Revenue dropped by 25 percent between 2008 and 2010. Investment income dropped 90 percent, and program service income dipped 10 percent, but the killer was a 25 percent decline in 2010 contributed income—donations and grants—that constituted 80 percent of the organization’s total income. Efforts to replace lost grants with individual giving didn’t work. For example, the Y’s end-of-the-year fundraising appeal in 2011 was sent to twice as many people as usual but raised half the usual revenue response. Historically, the Y had not done much on individual fundraising. The late move to try to raise individual donations at the end of 2011 was a losing proposition as a strategy to replace a one-third cut in United Way funding and other cuts from state and municipal agency funding streams—too little, too late. It also hasn’t helped that the Y has reportedly been unable to get its required paperwork into the City of Raleigh for funding it was due to receive in FY2011 and FY2012. At the same time as revenue fell, salary and benefit expenses increased by more than 50 percent, in part due to a jump in employees, from 30 to 51, between 2009 and 2010. Somehow the Y was growing in its staff costs, but the board didn’t make any move to cut staffing in the wake of years of declining revenues until late 2011—when it was too late. Boney suggests that the board might not have been thoroughly informed about the depth of the organization’s challenges, as board members apparently had little contact with anyone other than the executive director. According to one board member, although the Y had funding relationships with a number of grant sources, the relationships weren’t strong enough to allow them to signal that they were in trouble. “Rather, we needed to show that we had a strong organization going,” she said. “You’ve got to look good until you just can’t hold up if you’re going to compete for the money out there,” another board member told Boney. “Nobody is interested in putting money in a failing organization.” The result was that if anyone was going to step up to help keep the organization from the abyss, they might not have known they were needed. “We knew some of their foundation grants had ended and they hadn’t found replacements,” the local United Way person said. “However, we were not aware that the situation was so desperate they needed to close their doors.” Boney reports similar comments of surprise and shock from the Y’s other funders. Boney’s article is the kind of detailed organizational autopsy that the press and the nonprofit sector need to generate in the wake of nonprofits like the Raleigh YWCA shutting down. There is plenty to read in the text and subtext of this story. Two additional items strike us. The first is that the YWCA, unlike other similar organizations, made a decision—nationally, throughout its network, and locally—to emphasize in its mission the cause of fighting racism. 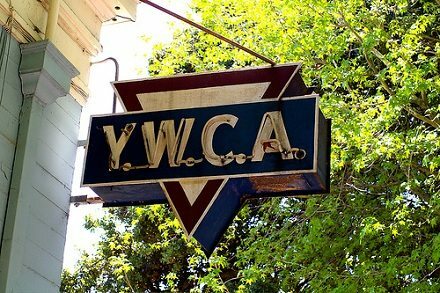 It was a bold move at the time, putting the YWCA system squarely on the side of social change advocacy. It was bold, but in fundraising terms, it was also difficult. As the Raleigh Y’s board chairperson noted, fighting racism is “very hard to raise money for…The major dollars for racial justice are national pools, not local pools.” There may be a story here about the challenges organizations face in raising money for racial justice, which is often dependent on big national funders, compared to service missions that have more access to local funders.